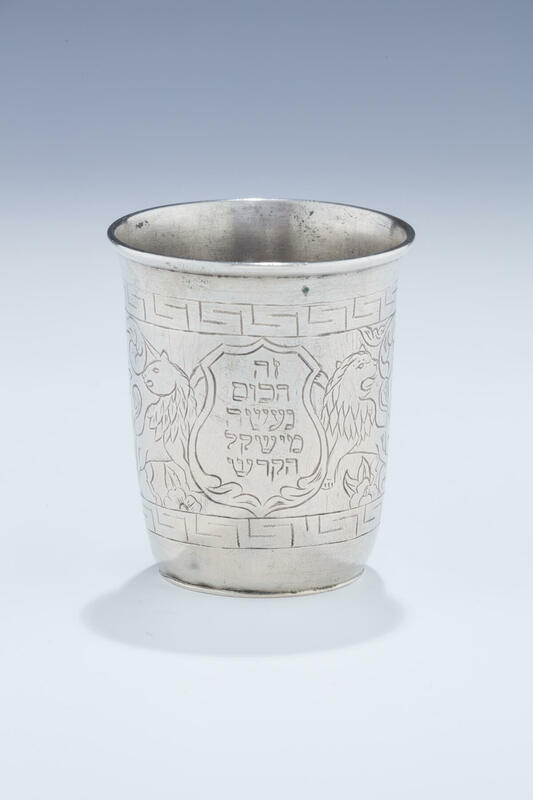 AN EARLY KIDDUSH CUP MADE OF SHMIRAH SILVER. Poland, c. 1840. Beaker form. Engraved borders in geometrical design. Central cartouche engraved “THIS IS THE CUP MADE OF HOLY SILVER”, flanked by a unicorn and a lion. Shmirat judaica are religious objects that have been made from coins or eating utensils previously owned by holy rabbis. 2.7” tall.